A competitive and viable first-choice transport mode in terms of price and service quality for both passengers and freight customers. 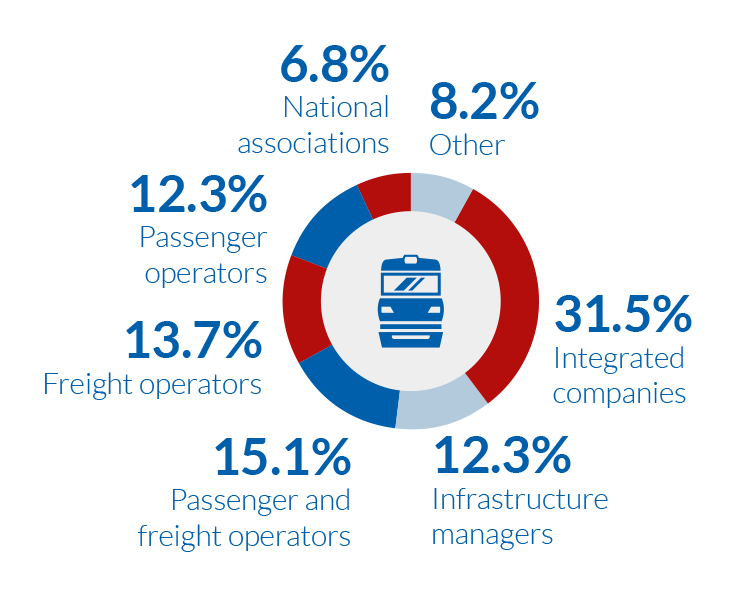 The backbone of a seamless and integrated transport system – in close cooperation with the other transport modes. An enabling factor for the competitiveness of the European economy, supporting economic growth and job creation, and contributing to an inclusive society. Central to the delivery of Europe’s goals of cutting greenhouse gas emissions, achieving energy security, and relieving congestion. EU-28, Switzerland, EU candidate countries (Macedonia, Montenegro, Serbia), and Western Balkan countries. 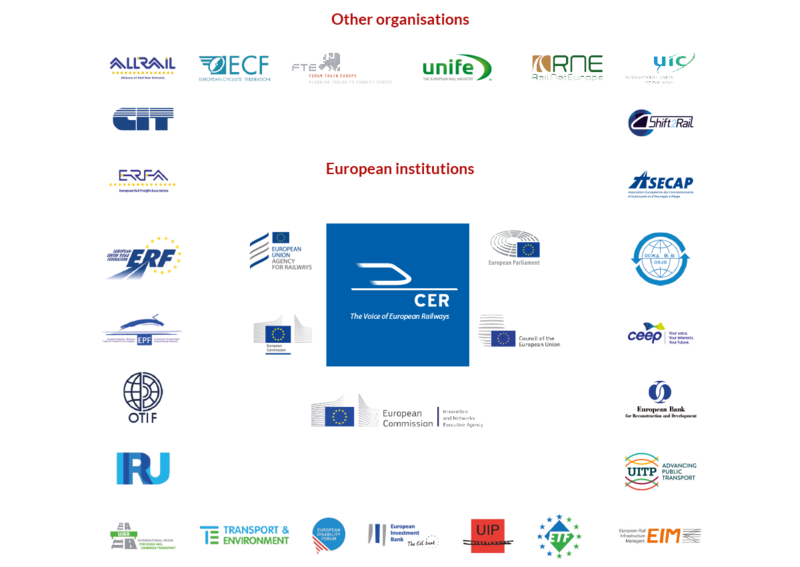 CER also has partners in Georgia, Israel, Japan, Moldova, and Ukraine.